Crownview Co-Occurring Institute develops comprehensive treatment plans tailored to the specific needs of each client. Specializing in complex psychiatric conditions, our clients have the opportunity to both learn and practice the relationship and life skills needed to take charge of their lives and reach the highest possible level of independence. The team at Crownview Co-Occurring Institute understands that each client’s living environment is crucial to the success of their therapy program. Crownview Co-Occurring Institute is at the forefront of both providing and managing living environments where the client feels secure, supported and understood – and where the critical balance between structure and personal freedom is constantly being evaluated on a case-by-case basis. Our housing is 24-hour supervised and provides a complete daily schedule for each client (see list below). Each location has round-the-clock professional staff supervision. We have several different locations in the coastal North County areas. Transportation is provided to and from therapy sessions, self-help meetings, and other CCI activities. NOTE: Our housing facilities are not “lock-down” facilities, though we have comprehensive housing policies and rules. We are considered a “step-down” from a higher level of care, such as that provided in hospitals and residential care facilities. We have housing for clients that have need while attending our program. Even though our housing does not have twenty-four hour supervision, we do have support staff and case management. We provide a carefully structured support network where clients are taught independent living, including cooking and cleaning. If a client displays uncooperative or disruptive behavior, or shows signs of being a risk to himself or others, proportional measures will be taken. This is the core of our program: We have licensed psychiatrists and clinicians at our treatment center during regular hours of operation, and a depth of professional experience with the best current, evidence-based therapies. CCI’s individualized treatment approach creates highly customized action plans. We design wrap-around therapy strategies with a team approach. Our program contains a wealth of diverse licensed professionals in addition to a fully integrated psychiatric team. This means that our psychiatrists are not independent contractors, but rather, full time employees that are available on call at any hour. Our support staff play an important role by acting as the eyes and ears of our treatment team. Utilizing an experiential or “hands-on” approach, our case managers engage with the client and begin forging a relationship of trust. Together they begin identifying and practicing life skills in need of improvement. At CCI we hold to the belief that life skills, in conjunction with proper medication, sustain mental health. Medications are used as needed to stabilize the client and lay a foundation of receptivity to other, more sustainable therapies. The goal, evaluated with daily monitoring, is to reduce or even eliminate medications when they are no longer deemed necessary for the client’s well-being. Psychiatry – Each client is assessed by a Crownview psychiatrist and is seen regularly for follow-up appointments throughout the course of treatment. Each client is assigned a highly qualified individual therapist who provides an as-needed number of personal therapy hours per week. They work together to create a therapeutic alliance, help the client identify and correct problem areas and begin arresting self-defeating behavior. When the causes of problematic behaviors are identified, the old thought patterns and coping mechanisms are replaced with new ones in a methodical, self-reinforcing way. As the client begins to practice these new tools and begins to achieve successes, self-esteem and self-efficacy begin to develop. As clients begin to get involved in the group therapy process, they begin to identify with one another and learn that they are not alone. Bonds of trust are formed and differences are “worked out,” teaching our clients how to establish, maintain and nurture healthy and lasting relationships. Often with mental illness and addiction, sufferers lose self-confidence, and become trapped in relationships where drugs and alcohol become dysfunctional remedies otherwise referred to as “self medicating”. Over time, this behavior further deepens feelings of insecurity, stifling emotional growth and maturity. The sufferer struggles with anger and resentment and exhibits childlike coping mechanisms. Facilitated group therapy challenges the client to mature emotionally by utilizing new skills, resulting in self-efficacy and confidence. A client’s family and other loved ones should be part, if at all possible, of the treatment plan. They are often in need of counselling and therapy themselves – something CCI has championed from the start, addressing each of these needs in an inclusive way. We host regular Family Weekends with therapist run workshops to give time for re-integrating clients with their families in a controlled setting and providing opportunity for celebration of the client’s progress. NOTE: We constantly monitor the responses our clients have to the pharmacological regimen we develop for them, and are careful to adjust when necessary to best effect. The key to long-term success is developing emotional resilience, building coping skills and shaping realistic goals for life. The wide range of supportive therapies we offer help build individualized pathways to re-integration and independence . Utilizing the tools provided throughout the program, clients begin to build self-esteem and foster the hope that they can achieve a life of independence. Persons whose lives have become seriously dysfunctional often need to learn or re-learn basic life skills by consistent, day-to-day practice in their schedule. The daily practice of these life skills will help clients in their future growth. Mental illness can be disabling, but, in many instances, need not be permanently so. One of our primary goals for each client is to discover their personal capacity for independence and develop a personalized track to build the skills needed before the client can enter or re-enter the work field. If done carefully in conjunction with the other therapies and coaching, this approach can strengthen long-term recovery and become a key element of the breakthrough each client strives for. A difficult element of restoring a client’s life is charting a path back to the “real world,” to whatever extent that is realistic. We know that occupational programs that focus exclusively on classroom training yield poor results in the long term. To be effective, there must be training on-site with actual job responsibilities or educational performance, with at least some of the uncertainties and stresses that may involve. The key – this all takes place within the supportive CCI environment, providing the best opportunity for building marketable skills. CCI programs nine hours per week of occupational development for each client. This helps the client overcome their fear of failing, being rejected and lays a solid foundation for re-integration into life. Every case we undertake is assigned at admission to an experienced case manager, whose primary task is to lead the effort to design and coordinate all of the components of the treatment strategy. Our approach to client evaluation to define their assets (strengths) and liabilities (weaknesses) – where they may be doing well and where they require professional help. This gives us a clear profile for a successful therapeutic program. It has been well-authenticated that therapies that act to transform weaknesses into strengths give the best likelihood of an independent and fulfilling life for the client in the coming years. That is our big picture … and it’s applied to every client. The synergy and balance that is so important to the CCI philosophy includes the important aspect of physical recreation. Much more than just “Exercise”, these programs provide critical support to the medical and psychiatric therapies we provide. They can become channels of self-discovery and renewal, and help generate a sense of purpose in the lives of those often lacking of healthy motivations. NOTE: Client access to these activities is not automatic – there must first be a clear demonstration of reliability and stability. Crownview Co-occurring Institute’s program is based on a “4 phase” model to promote healthy changes as well as provide a structure to guide the individual clients plan toward success. The phase structure outlined below are general guidelines for each phase. Phase 1 – Acclimation: In phase 1 we create a highly-structured, compassionate, and safe environment to allow our clients to adjust to treatment. Phase 2 – Resocialization: At phase 2 we maintain structure as our clients begin to rediscover their social values, beliefs, and norms. As this process happens we begin to see clarity and retention. In phase 2 our clients begin to earn more responsibilities such as personal electronics and free time. Phase 3 – Developing life skills: Once a client reaches phase 3 they have shown the ability to begin developing or re-enforcing life skills to support independence. In phase 3 our team begins a heavy emphasis on life skills such revolving around vocational support, educational support, realistic budgeting, and healthy independent routines. Phase 4 – Independence: Phase 4 is where our clients begin to utilize the skills from the previous three phases to demonstrate independence with a major reduction to staff structure. We utilize this phase to observe our clients apply the combination of coping skills and life skills required to live a healthy independent life. What makes our program outline unique is that with the above structure mixed with experienced understanding we can make each clients treatment differ from the next. This flexibility is due to the understanding that not every client falls short in the same skills as one another. With our phase system we have the ability to individualize each client’s treatment plan in every aspect to provide the most personalized and productive care possible. Powered by Authentic Marketing Solutions. After 11 years of experience in the field of Information Technology, Jeff was inspired to change careers as a result of his own experience with treatment and recovery in 2005. While completing his education in alcohol and other drug studies (AODS) at San Diego City College, he was hired at a long-term, residential treatment center for those suffering from severe psychiatric disorders and drug addiction. During his six year tenure, Jeff gained extensive experience in crisis intervention, case management and the overall treatment of co-occurring disorders. As Milieu Operations Director, he was instrumental in the development of the Chemical Dependency Department and was responsible for oversight of the company’s support staff and Housing and Admissions Departments. 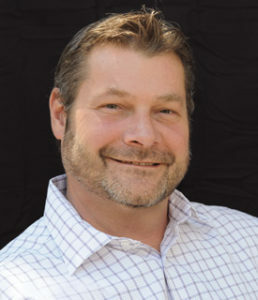 In an effort to make treatment more accessible to those suffering from acute psychiatric symptoms, Jeff extracted tools and techniques being practiced in long-term psychiatric care and coupled them with his knowledge of standard chemical dependency interventions. This new and effective modality has since been adopted by the Intervention and Recovery Institute (IRI) in San Diego and continues to yield highly successful outcomes. In 2013, Jeff was instrumental in reopening Pemarro Recovery Center, a sub-acute medical detoxification facility. While there, he worked diligently to build a comprehensive treatment program, focusing on providing clients a safe and effective detox and creating individualized transition plans to provide a structured path for clients to follow once they discharge. In May 2014, Jeff Klein and Dr. Mark Melden met over lunch to discuss a new approach to meeting the large and growing need of services for those suffering from psychiatric and substance abuse disorders. Through meticulous planning, intense effort and the formation of great team, Crownview Co-occurring Institute and Solutions in Recovery have established a successful partnership, bringing hope, healing and restoration to many wounded lives. Laura Hopper is an experienced psychologist with a strong background in psychological and neuropsychological evaluations, including the speciality of working with retired athletes. She has an extensive background in diagnostic and treatment planning, and in vocational testing. She has worked closely with our family interventions and both individual and group therapy programs, and participates in CCI’s weekly treatment team meetings to stay current with all facets of the cases she is involved with. Coming from a successful private practice and with a strong academic background, her work in our team setting has been highly effective. Laura’s clinical understanding of cognitive and behavioral therapies, competency assessments, psychodynamic and interpersonal therapies, and juvenile delinquency issues give her a range of skills that enhance the success opportunities of each case she is involved with. Her academic credentials include a BS in Psychology, with emphasis on Law and Criminal Behavior; a MS in Clinical Psychology, both from California Lutheran University, and a Ph.D. from Alliant International University, California School of Professional Psychology. 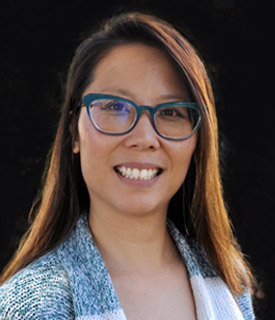 Dr. Dun earned her Doctorate Degree in Clinical Psychology in 2010 from Alliant International University, California School of Professional Psychology in San Diego, California. She became licensed in 2016, and has more than 10 years of clinical experience working with various populations and with a wide variety of psychiatric disorders. She has experience in providing care in outpatient and inpatient settings, including crisis intervention centers, hospitals, and community agencies. Dr. Dun is trained in long-term as well as short-term interventions, including psychodynamic therapy, DBT (Dialectical Behavior Therapy), and EMDR (Eye Movement Desensitization and Reprocessing). She has tended patients with various clinical needs, such as relational stress, attachment issues, anxiety, depression, trauma, severe mental illness, substance use, psychological distress related to chronic medical illness, personality dysfunction, academic and developmental issues. Dr. Dun has experience with working with adults of various ages, as well as with adolescents, and provides individual, family, couples, and group treatment. Presently, Dr. Dun is dedicated her time to working with clients at Crownview Co-Occurring Institute. Dr. Dun is bi-lingual and offers services in English and Russian. Brieana specializes in psychoeducation, psychotherapy, trauma-informed care, and teaching coping and life skills. 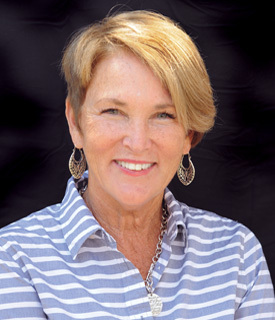 She has a strong background in working with teens and adults with severe emotional and behavioral issues, establishing “safe environment” settings for working one-on-one to promote healing of family relationships, work through alcohol and drug dependencies, and restore healthy lifestyles. Her passion is seeing families and couples create strong, nurturing bonds that enable the healing process. Brieana has an impressive resume including stints with adult rehab programs, recovery programs for troubled youth unable to function well in school or home, and partial hospitalization programs. 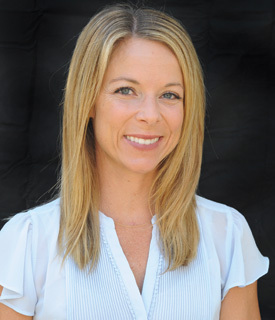 She holds a BA in Child and Adolescent Development from San Francisco State University and a MA in Counseling Psychology from National University, San Diego. She loves running, traveling, cooking, watching the San Diego Chargers, and relaxing with family and friends. Brittany specializes in family systems and parent-child relationships, as well as psychoeducation, trauma-informed care, and teaching communication and coping skills. 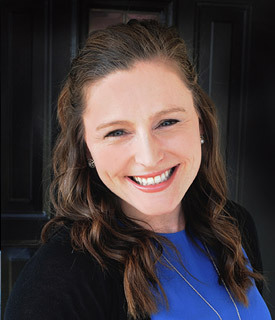 Brittany has significant experience in working with various emotional and behavioral issues such as depression, anxiety, eating disorders, ADHD, family dynamic issues, substance abuse and severe mental illness all in a range of settings from schools and nonprofit programs to outpatient and partial hospitalization programs. Brittany has a passion for instilling confidence and promoting self-compassion to aid in empowering clients to take control over their own recovery. 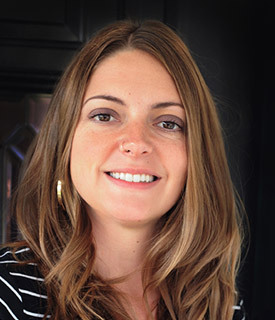 Brittany wants to support all clients in building healthier relationships both with themselves and other people by providing hope, individualizing each client’s treatment, and utilizing various theoretical and systemic approaches. Brittany graduated from UCLA with a B.S. in Psychobiology and went on to USD to receive a M.A. in Marriage and Family Therapy. In her spare time, Brittany enjoys coaching her alma mater high school dance team, as well as doing CrossFit and spending time with family and friends. Joanne Talbot Miller is a licensed marriage and family therapist with a background in crisis intervention. Joanne began her career as an MFT working in an emergency shelter program for survivors of domestic violence and human trafficking with substance abuse and severe mental health issues. Joanne has provided individual and group therapy within residential and outpatient transitional housing programs. She has facilitated groups on domestic violence education, safety planning, anger management, communication, substance abuse, prevention, and independent living. She has worked on a crisis hotline for students providing suicide assessments, suicide prevention and support to transitional age youth. Joanne provided crisis counseling and helped students connect with services such as drug and alcohol treatment, emergency housing, and mental health treatment. Joanne’s career has a strong behavioral background working with children and adolescents with developmental, emotional, and behavior problems. Working with the whole family Joanne taught strategies to improve behavior, family functioning, and alleviate daily stress in the home. Joanne brings an integrative approach to therapy that brings together the affective, behavioral, cognitive, and physiological levels of functioning. This approach helps individuals gain insight into themselves, and reduces unhealthy, dysfunctional defense mechanisms and patterns of behavior. 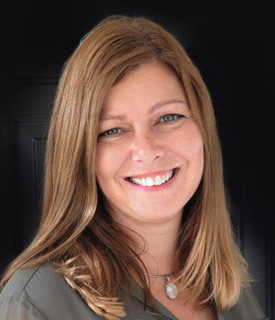 Joanne graduated from the University of Luton in England and continued her education earning her Master’s Degree in Marriage, Family, and Child Therapy from the University of Phoenix. Jordan is a Pre-Doc PsyD Intern who comes from an in-depth background of psychology specializing in mindfulness based techniques and psychoanalytical therapies as well as being certified in drug and alcohol studies. The core belief behind Jordan’s work with clients is to learn the “communication language” or “way of learning” for the client and attempt to correspond in a manner that best suits each, tailoring the treatment to meet their individual therapeutic needs. Jordan impresses upon each client’s self-empowerment, inner freedom and peace of mind through equipping clients with a personalized skill of self-introspection, mental and emotional mindfulness, and communication skills. Aside from mental and emotional processing Jordan also teaches classes regarding psychoeducation and pharmacology. Jordan completed his undergraduate B.S. in psychology at California Coast University, his drug and alcohol certification at U.C. Santa Cruz, and his Graduate Doctoral education at Ryokan College. 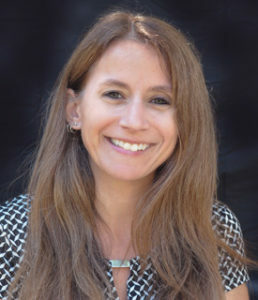 Ms. Weintraub earned her Master’s Degree in Clinical Psychology and is currently working to complete her Doctorate Degree in Clinical Psychology from Alliant International University, California School of Professional Psychology. 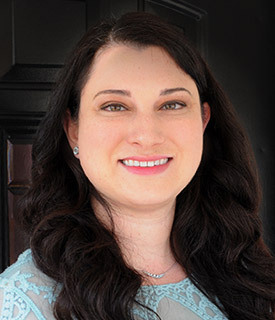 Ms. Weintraub has more than seven years of experience in providing client care in outpatient and inpatient settings. These venues include crisis intervention centers, psychiatric hospitals, and community agencies. Her expertise includes both short-term and long-term therapy with clients coping with: bipolar disorder, major depressive disorder, schizophrenia, generalized anxiety disorder, and obsessive-compulsive disorder. Ms. Weintraub is also proficient in administering, interpreting, and writing psychological assessments. Most recently she has worked with the LGBT community to address sexuality and gender identity issues and addiction to methamphetamine. Ms. Weintraub is trained in CBT, ACT, DBT, and Mindfulness. Ms. Weintraub is passionate about helping her clients gain the emotional tools to better understand what drives their behavior and that of their surrounding circumstances. Kathleen is a licensed social worker with an 18-year background in acute psychiatric care and crisis intervention. Her highly respected private practice in psychotherapy, for individual clients and in group settings, gives her the depth and range of direct experience to assess, identify and treat multiple psychiatric issues. Among her professional strengths are her problem solving and decision making skills, intervention capabilities, treatment plan development, and effective communication with family members of her clients. She also has an extensive background in discharge planning and community resources. She served ten years at Brooke Glen Behavioral Hospital as a social case worker. 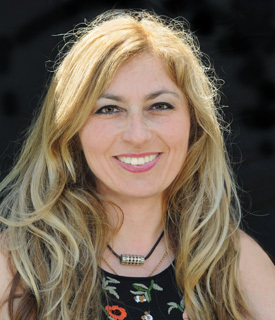 One of her passions is advocating for women victimized by domestic violence, with many years of front-line service as a domestic violence advocate. She has served as advocate at the Women’s Center of Montgomery County, Pennsylvania, as a Crisis Pregnancy Hotline volunteer during her school years, and as a Drop-In Center Crisis Counselor. Kathleen has received numerous awards for service excellence. Her academic background includes a MS as Social Worker from Widener University in Chester, PA.
Jodie is a native Californian, born and raised in San Diego County. 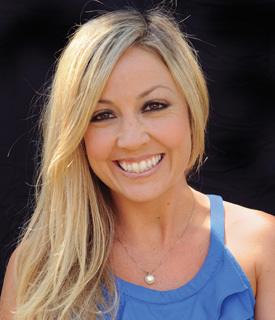 Jodie attended Grossmont and Miramar College. 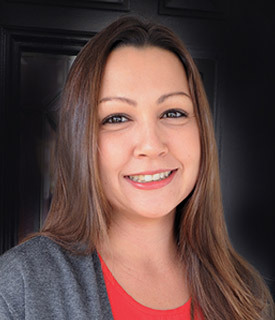 In 2003 she decided to further her education and become a Nationally Certified Pharmacy Technician and graduated from Grossmont Health Occupations Center. She holds experience in managed care as a Patient Benefit Manager. After 14 years of working in a pharmacy environment, Jodie made a career change towards her true passion of helping others in assisting them in their journey to recovery. She always wanted to pursue a career where she could be a part of a company that wants to make a positive difference in someone’s life. Jodie has always been compassionate and empathized with those that struggle with drug and alcohol addiction along with mental illnesses. Jodie joined Crownview in August 2016 and still utilizes her pharmacy background as the Medication Technician for CCI. A native to San Diego, Stacy joined Crownview Co-Occurring Institute February 2017. She has been in the medical field since 1998, starting as a Certified Medical Assistant providing home health care, then transitioning into Office Management in specialties such as OB-Gyn, Chiropractic and Pain Management. Stacy has a passion and desire to help our community and increase awareness for our loved ones that are affected by addiction and mental health disorders. JP was born and raised in San Diego. He is a certified addictions treatment counselor and clinical supervisor. 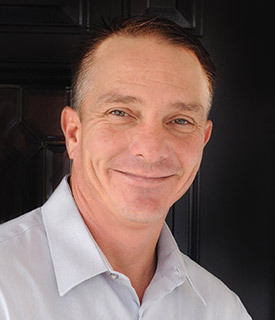 JP has been working in the field of addiction and co-occurring disorders since 2005. 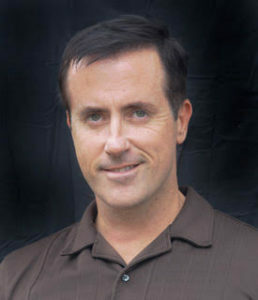 He studied psychology, Forensic Addiction Treatment and AOD studies at UCSD and Los Angeles City College. He specializes in facilitating groups, motivational interviewing, Crisis Intervention and mindfulness-based cognitive therapy. JP has extensive experience working with the criminal justice, Native American and Female populations. Before finding his way to CCI, JP was the clinical supervisor of a substance abuse program in Vista California. Having gone through treatment himself, JP pursued a career in the field of addiction. “I Love what I do because someone took the time to help me many years ago, I’m just giving back what was given to me”. David was born in Los Angeles California and raised in Indiana. Eventually residing roots in North County San Diego. David enjoyed a long successful, yet unfulfilling, career in communications as a fiber optic technician. Through personal recovery, he discovered a true passion for helping others and while on his journey had the pleasure of encountering Director Team Members of Crownview Co-Occurring Institute. As David likes to tell the story, “I believe they saw something in me that I had never seen in myself”. The team requested that David come in to interview and the rest is history. David soon realized he had an intuitive ability to meet clients “where they are at”, by understanding the journey himself. David has held many positions at CCI with a humble beginning as support staff, quickly being promoted to house manager. David’s most recent promotion includes carrying the title of Housing Director, overseeing all House Managers and Residents. David has dedicated his personal and professional life to helping others. He believes this is the essence of recovery. 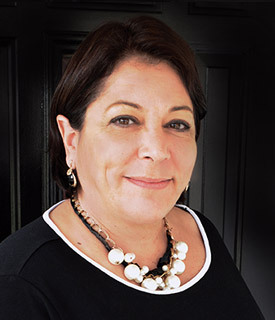 With more than 20 years of experience in Medical Office Administration, Gianna’s philosophy centers around what role she can play in helping others find solutions. She takes pride in helping people and provides a caring atmosphere for Client’s and Co-Workers. She lives in Oceanside with her husband, and volunteers at St. Mary’s Star of the Sea Catholic Church as a Children’s Eucharistic Minister and Sunday School Teacher. Amy studied business management, finance and accounting at Owens Collage in Toledo Ohio. Her education and aptitude for management eventually led her to finding a lucrative career as an Operations Director in various industries. In making the life changing decision to move to Encinitas, CA, eventually procuring a position as the Associate Operations Director for Crownview Co-Occurring Institute. Amy found not only a positive work environment but a family, as well as success using her true passion for recovery and her talents in business management. Amy has come to realize that working with others and helping clients on their own path in treatment and recovery has greatly enhanced her own. Amy believes she has found her true purpose at CCI.